Using cutting-edge technology developed by SHL Telemedicine, the company that leads the field of home-based medical support, Smartheart Pro enables you to perform a full hospital grade ECG with your smartphone or iPad®. The ECG will appear in seconds on your smartphone or iPad® screen. 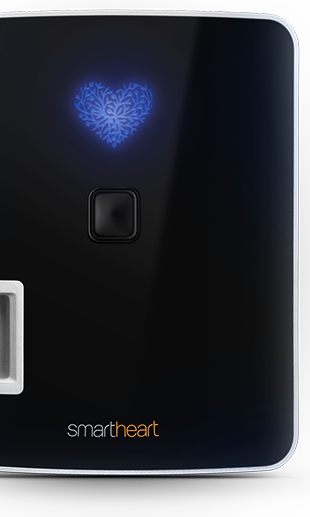 The device is FDA cleared, bears the CE mark, and the system meets the HIPAA security and privacy standards. SHL Telemedicine's ECG devices have been in use by many thousands of people in several continents and we take great pride in the fact that our devices have saved numerous lives and given new hope to countless people. Smartheart Pro is a hospital-grade 12-lead ECG device, fast, user-friendly, reliable and smart and it's FDA-cleared and CE-marked. Data is stored in the cloud. It is secured and HIPAA compliant, so you know your patients’ privacy meets rigorous security standards. 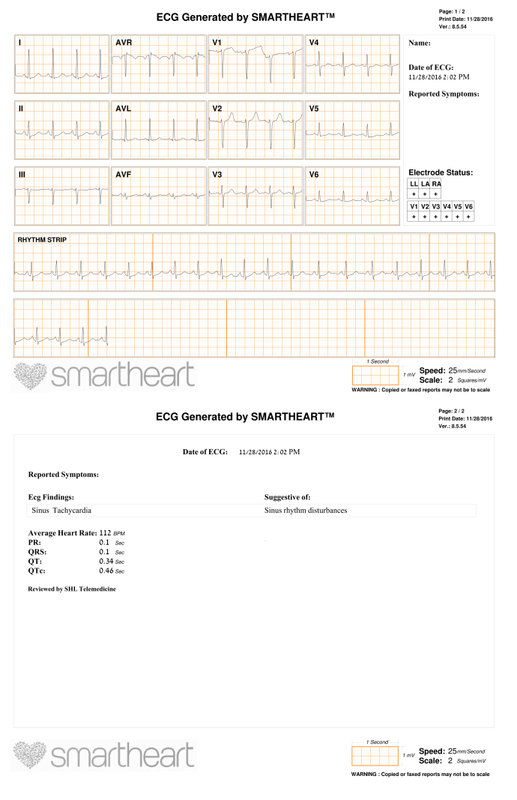 Smartheart Pro has proven its value in busy physician practices, and has revolutionized the ECG experience. Replacing cumbersome and expensive generation ECG machines, or the need to send patients elsewhere for ECG. With Smartheart Pro you’ll be able to continue providing your patients the best experience while increasing efficiency in your practice. We are confident that once you’ve tried Smartheart Pro, you will never switch back to the traditional ECG machine. You can also sign up and benefit from our professional medical support 24/7, SHL Telemedicine center will review the ECG and provide findings to allow quicker and efficient analysis by yourself. The Smartheart Pro platform enables you to enjoy the most advanced technology and the expertise of SHL telemedicine centers' staff, who review ECGs and return their ECG report with findings, with a turnaround time of no longer than 15 minutes. You will receive an immediate ECG report through Smartheart Pro account, viewable on your Smartphone or tablet and can be also viewed in a secured way in the smartheartpro website. Experience has taught us that many doctors prefer to get insights from professionals who are especially trained and dedicated to ECG interpretation. If this sounds like you, we invite you to sign up to have all your patients’ ECGs reviewed by our highly experienced medical professionals at our telemedicine centers, who collectively have interpreted in excess of a million ECGs. Once signed up, you will receive a full ECG report with findings within minutes.